Map of West Xacor for Elex. Missions, NPCs, Quests, Teleporters, Trainers, Traders, Monsters, Items, Secrets, Hints, Locations ELEX Walkthrough, ELEX Maps, ELEX Guide & Wiki. 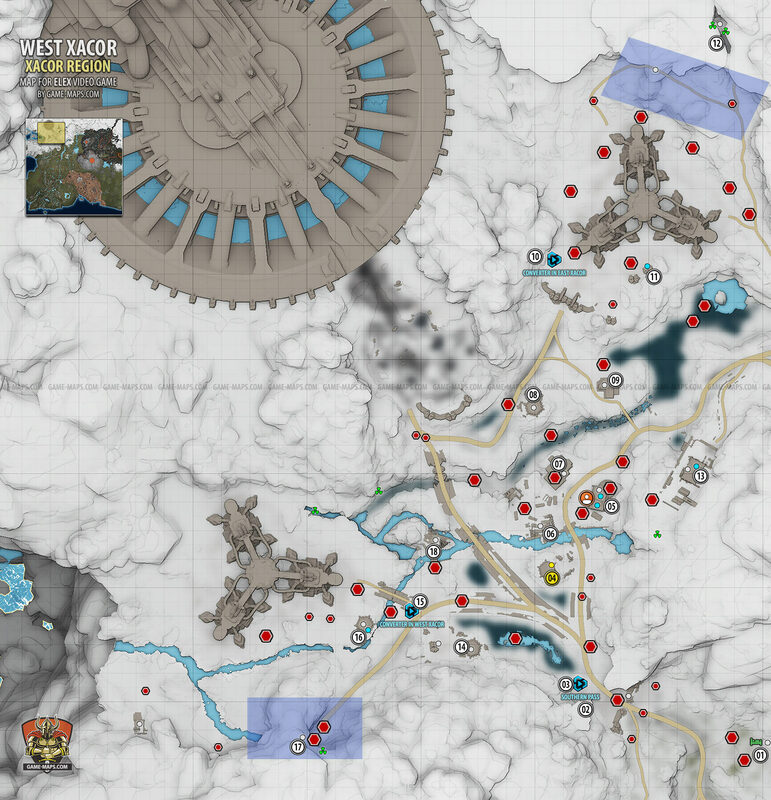 West Xacor Map for Elex. I should be able to salvage a new control jet for my raider from somewhere in Xacor. Alb positions there might have stores of replacement parts. Safe - this is special safe. You can't hack it. Code for this safe is connected with four notes titled “Numbered Slip of Paper”. Those numbers makes code for this safe.